I am a Chartered Building Surveyor, with preference for designing and managing project work. 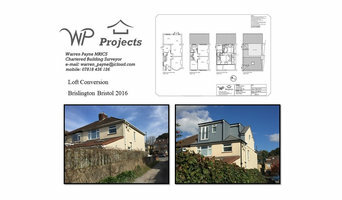 I provide an Architectural Design and Cad Drafting Service, for Building Extensions, Loft conversions and the like. I can carry out Planning and Building Regulation applications and provide full documentation for tender issue to building contractors. I can assist with Contract Administration and the Project Management of schemes. 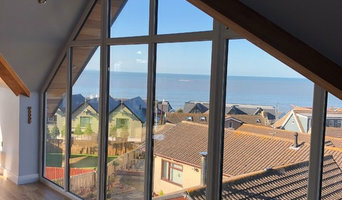 Paolo Bollini Architects is a young and dynamic architectural practice that can help to deliver successful and imaginative buildings for all types of clients, domestic or commercial. The practice was established in 2010 by Paolo Bollini who has 10 years experience as a qualified Architect in the industry and is a chartered member of the RIBA. Paolo gained much of his experience working for some very creative and successful practices including David Grindley Architects, Sansome Hall Architects in Milton Keynes and most recently ADP in Oxford, where he was project architect for numerous primary and secondary school redevelopments. During this time he has worked on a variety of building types including bespoke homes, theatres, teaching spaces, offices, warehouses, retail, manufacturing, health care, student accommodation and urban design. Paul Martin Associates specialises in barn conversions and the design of individual houses. We are a young and exciting architectural, structural and graphic design practice based in Bristol. We bring together a range of complimentary design disciplines and a healthy interest in the future of our environment to provide a first-class consultancy practice capable of delivering outstanding and inspirational projects. Please take your time to browse our profile and do not hesitate to contact us with any query of any size. KB2 is an independent engineering consultancy practicing in Bristol and its surrounds for over 30 years. We aim to provide “engineering certainty” by delivering intelligent, innovative designs that are cost effective, practical and sustainable. We work in both the public and private sectors as well as with domestic clients and are one of the country’s leading providers of structural reports for renewable energy industry. Bananas are full of vitamins and nutrients and they're devoid of fat and cholesterol. We are a collection of designers that have a passion for the production of beautiful spaces that enhance your life. We take this approach on all our projects from creating an efficient, functional kitchen garden room extension within a budget to designing your dream home or renovation. 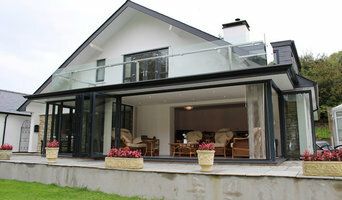 We work in residential, office and commercial environments designing extensions, renovations, and new builds. We have designed 100s of schemes from small residential extensions, new individual homes, small housing developments, offices and storage buildings. When working on your project we will take a wide view of all the opportunities available to you and not limit our scope. 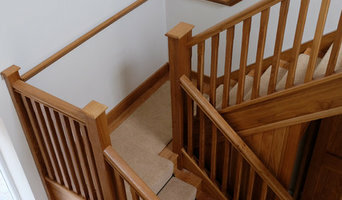 This way we believe that you will know what options are available to you to create the best space possible. 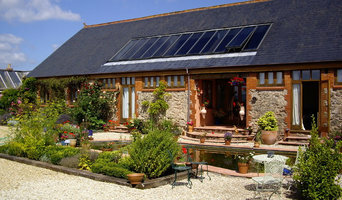 SOMA is a chartered architects practice based in Holford Combe, near Bridgwater, Somerset. We specialize in helping clients make the best of their homes by working with them to find solutions that are functional, flexible and good value for money. We also want your home to be beautiful, practical and long lasting. Working together, you have the benefit of over 20-years’ core expertise and experience in architecture, building surveying and project management for any sector project whether big or small. Our ‘one-stop shop’ service ensures a single point of contact from inception to completion of a project , thus simplifying and making effective lines of communication between us and our clients. We sell on the key principle of keeping things simple with our CCDQ (Communications, Cost, Delivery and Quality) approach ensuring clients are satisifed with our service. With the benefit of over 20-years dedicated experience in both public and private sector development, we bring our clients a holistic and widely innovative knowledge-based expertise in social care, social housing, primary healthcare, commercial, light industrial and residential development services. HPS Group is a market leader in providing professional services through our established UK reputation since 1991 ensuring you of our individual and personal attention at all times. Communication is key to success so we understand the need to act promptly and efficiently on all client and project matters. Our established knowledge assists us in idenifying, minimising and eliminating many unforseens and unnecessary costs at an early stage to enable the protection of client interests and avoidance of costly delays and disruptions to project programmes. We measure our performance on a regular basis by ensuring feedback on our response time, client feedback, client satisfaction and on-time delivery of service.